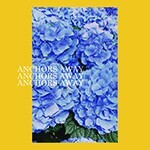 All faculty, staff, and their families are invited to attend Anchors Away on Thursday, May 2, from 4 to 7 p.m., on the bluff behind Bauccio Commons. Campus Program Board and the Division of University Relations invite the entire UP community to gather together and celebrate the conclusion of the academic year with food, drinks, live music, and a variety of activities. Faculty and staff can get their free tickets by contacting Jake Murphy, student activities, at murphyja@up.edu or x7577 to make arrangements. Additional tickets for partners or family members can be purchased at the Bauccio Commons during the event and the week before for $10. Children under 10 years do not need a ticket. If you have questions or need accommodations, please contact Jake Murphy via murphyja@up.edu. New Role for Fr. Gerry Olinger, C.S.C. Fr. 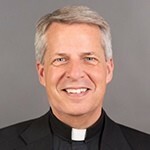 Gerry Olinger, C.S.C., Vice President for University Relations, has accepted the position of Vice President for Mission Engagement and Church Affairs at the University of Notre Dame. Fr. Gerry’s last day at the University of Portland will be Friday, August 10, and he will begin his new role at Notre Dame on Monday, August 20. Bryce Strang, Senior Associate Vice President for Development, will serve as interim Vice President for University Relations while a search is conducted for Fr. Gerry’s replacement. At the Provincial Chapter meeting of the United States Province of the Congregation of Holy Cross in Wilkes-Barre, Pennsylvania earlier this month, Fr. William Lies, C.S.C. was elected as the new Provincial Superior. 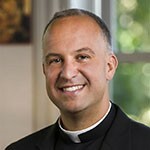 Following his election, Notre Dame president Fr. 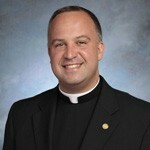 John Jenkins, C.S.C., invited Fr. Gerry to consider succeeding Fr. Lies in his position at Notre Dame. Fr. Gerry’s new role will offer him opportunities to grow in his priesthood and to further explore Holy Cross spirituality. In addition to deepening the Catholic and Holy Cross mission of his alma mater, he will also serve as the liaison to the United States Conference of Catholic Bishops (USCCB) and the Vatican. The move also allows him to be closer to his parents and family in Pennsylvania during a critical time for them. As Vice President for University Relations, Fr. Gerry has been responsible for the Offices of Alumni and Parent Relations, Development, Marketing & Communications, and University Events. He is a concurrent assistant professor of political science in the University’s College of Arts and Sciences. He also serves as a pastoral resident in Schoenfeldt Hall. Please make time in the next few weeks to wish him well on this new path of his journey. 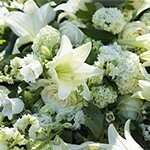 On Thursday, May 10, faculty and staff are invited to join members of the Board of Regents and the Holy Cross community for a Mass held in honor of D. Allen Lund and Joseph B. Allegretti. The Mass will take place at 5 p.m. in the Chapel of Christ the Teacher. All are welcome to join in this celebration of the lives and legacies of these two individuals who have served, supported, and shaped this University in countless ways. Any questions about the Mass can be directed to the Office of University Relations (pick@up.edu). All faculty, staff, and their families are invited to Anchors Away on Thursday, May 3, on The Bluff behind Bauccio Commons, from 4-7 p.m. Campus Program Board and university relations invite the entire UP community to gather together to celebrate the conclusion of the academic year with a barbecue, bar, live music, and lots of fun activities for kids. Staff and faculty members will receive a free ticket in campus mail. Additional tickets for partners and family members will be available for $5 at the Commons during the event and the week before the event. Children under 10 do not need a ticket. If you have questions or ADA accommodation requests, please email Tyler Zimmerman at zimmerma@up.edu. All University of Portland faculty and staff are invited to shop at the Columbia Sportswear Employee Store from August 18 to September 10, according to Rev. Gerry Olinger, C.S.C., university relations. Each employee can bring four guests with them to shop and use the invitation multiple times during that date range. Click this link to access or print the invitation. There is also is an end-of-season sale happening at the Employee Store from August 18-August 20. Items in the store are at employee pricing. Tags are marked with prices. Discounts can vary. Includes all brands in the Columbia Sportswear family of brands: Columbia Sportswear, SOREL, Mountain Hardwear, and prAna. Bring the invitation with you to the store reception desk, or show to the receptionist on your mobile phone. 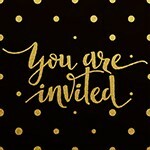 This invitation is non-transferable but you can bring your family and friends with you (up to 4 guests per person, per visit). You are welcome to visit multiple times during the invitation period. Store hours: M-SAT: 10a-7p / SUN: 10a-6p. Columbia Sportswear has generously provided University faculty and staff access to their employee store from April 8 through May 8, according to Fr. Gerry Olinger, C.S.C., vice president for University relations. This invitation offers UP employees the same pricing as Columbia Sportswear employees; all products are up to 50% off suggested retail price, including all brands in the Columbia Sportswear family of brands, in fully stocked size runs with new spring season products. To participate, bring the invite letter sent to all faculty and staff in an earlier e-mail with you to the store reception desk, or show the invite letter to the receptionist on a mobile device. Bring photo ID along with work ID (badge, business card, or pay stub are acceptable forms). This invite is non-transferable but you are welcome to bring your family and friends with you (up to 4 guests per person). The store is located at 14100 NW Science Park Drive, Portland, OR 97229, M-Sat 10-6 and Sunday 11-5. Columbia Sportswear has generously provided University faculty and staff access to their employee store from April 8 through May 8, according to Fr. Gerry Olinger, C.S.C., vice president for University relations. All invitees must bring a form of work ID listed below. This invitation offers UP employees the same pricing as Columbia Sportswear employees; All products are up to 50% off suggested retail price, including all brands in the Columbia Sportswear family of brands, in fully stocked size runs with new spring season products. To participate, bring the invite letter (sent in an earlier e-mail) with you to the store reception desk, or show the invite letter to the receptionist on your mobile device. 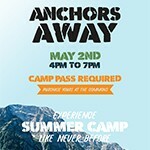 Bring your photo ID along with work ID (badge, business card, or pay stub are acceptable forms). This invite is non-transferrable but you are welcome to bring your family and friends with you (up to 4 guests per person). The store is located at 14100 NW Science Park Drive, Portland, OR 97229, M-Sat 10-6 and Sunday 11-5. All University faculty and staff are invited to wish Laurie Kelley a fond farewell on Friday, December 18, from 2 to 3 p.m., in the Pilot House. Laurie will be leaving her position as vice president of University relations to become president and chief development officer for the Providence Foundations throughout the Oregon region. She joined the University as director of marketing and communications in October 2006, and has directed many of the University’s signature events including Focus the Nation, the Rise Campaign launch and conclusion ceremonies, the Salute to Heroes, the State of UP, the Pamplin School of Business’ 75th Anniversary, the School of Nursing’s 75th Anniversary, and the Rise for Scholarships Event, which raised over $1.3 million for scholarships. She joined the administration as vice president for University relations in February 2014 after serving in an interim capacity since October 2013. Prior to coming to UP, Laurie was vice president of marketing and planning at Oregon Public Broadcasting (OPB). Please plan to attend and thank Laurie for leaving such a lasting imprint on the University of Portland, whose future and mission have always been near and dear to her heart, not to mention the focus of her boundless energy and enthusiasm. Rev. Mark L. Poorman, C.S.C., will be inaugurated as University of Portland’s 20th president on September 26, 2014. The Inauguration Mass at 11:45 a.m. and the ceremony at 3 p.m. in the Chiles Center will cap two days of public celebration honoring the new president. All University of Portland community members are invited to celebrate this historic event. Fr. Poorman was selected as the 20th president by the University of Portland Board of Regents in January 2014. He also served as executive vice president since 2011. Faculty & Staff Reception, Wednesday, September 24, 2014, 3:30-5:30 p.m., The Bluff/Bauccio Commons. Classes will be cancelled on Friday, September 26, after 11:15 a.m.
Inauguration Mass, 11:45 a.m., Chiles Center. All UP community members are welcome. Faculty members are expected to process in academic regalia’ please report to the Chiles Center as soon as possible after 11:15 a.m.
Inauguration Ceremony, 3 p.m., Chiles Center. All UP community members are welcome. Faculty will be expected to process in academic regalia. Due to the large number of guests from UP and other institutions, faculty are to report to the Chiles Center by 2 p.m.
Inauguration Reception immediately following the Inauguration Ceremony, Chiles Center Plaza. For more information contact Jamie Berger at 7397 or bergerj@up.edu.